The Council had in its last meeting on February 24 slashed tax rates for under-construction flats in affordable category to one per cent. GST rate on other categories was reduced to five per cent, effective April 1. Properties priced at Rs 45 lakh and below henceforth will be termed affordable housing however, the Council has also maintained that there is a carpet area criteria as well. Units built on an area of 60 square metre or less in any of the metro cities of India and units built in an area of 90 square metre and below will be categorised as affordable housing. Should you buy a house now or postpone a purchase? Prashant Bindal, Chief Sales Officer, Lodha Group says, "Now, in the absence of the input tax credit, developers across the sector will face an increase in the cost of construction, which will be passed on to the homebuyers. 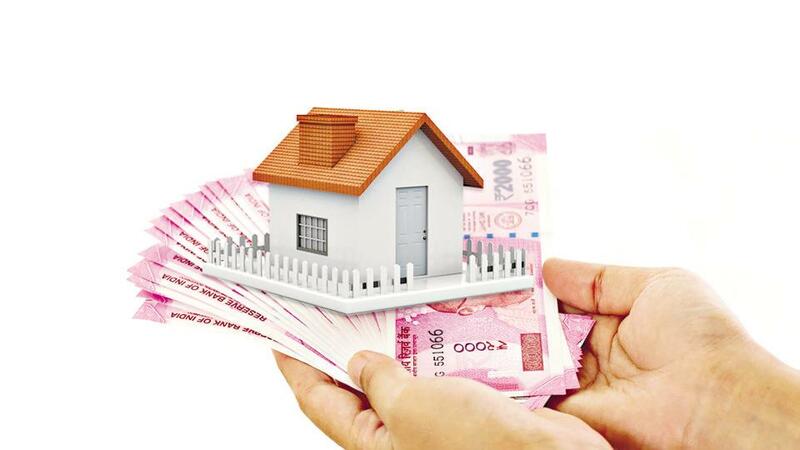 The cost of properties is now likely to rise marginally by five to six per cent once the new GST rates become effective from April 1 making March a lucrative period for homebuyers to invest in real estate at comparatively lesser prices than the prices available from April onwards." However, developers beg to differ. Addressing the media, Naredco President Niranjan Hiranandani, who is also the managing director of Hiranandani Constructions says that it would be difficult to say whether the prices will go up or remain stable but homebuyers should note that prices have self-corrected by 15-20 per cent and prices wont fall further unless the builder is desperate for sales. “When it comes to aspects like calculating input tax credit and how much is to be passed on to the home buyer and through what mechanism - that is all finished now, there is no issue relating to ITC for the home buyer to worry about, not in terms of how much or how it is to be calculated and so on,” says Hiranandani. “The expected cut down in GST rates for under construction projects to one per cent and five per cent for affordable housing will be a great push for the sector. It will been seen as yet another revolutionary decision by the government and will bring in a wave of relief to homebuyers. They can once again look and opt to invest in properties if there is a reduction in the tax rates. Not just that, it will assist developers in clearing off their unsold stock," says Ashok Mohanani, chairman, EKTA World and vice-president, Naredco West. Industry-body Naredco also welcomed the move. "This movement by the housing ministry and government of India will attract the fence-sitters to sales offices, thus resulting in maximisation of inventory sales. This pre-announcement has lifted the sentiment of developers and reinstated the faith of industrial growth. The earlier rate difference between under-construction and ready flats with occupancy certificate (OC) was 12 per cent had delayed the sales as the buyers were postponing the purchases. Now, the difference is bare minimal as even during the service tax regime it was five and half per cent," says Naredco president Rajan Bandelkar. Amid the impetus of housing for all by 2022 and evolving towards a trillion dollar economy by 2030, this is indeed a big step at par with the goal of central government to scale up on the rankings of Ease of Doing Business in 2019 and enhance the prestige of Indian real estate industry at a global level in the days to come. The Interim Budget tabled on February 1 had brought cheer to homebuyers and developers alike and many were keenly awaiting the GST Council to bring relief to the real estate sector ever since Finance Minister Piyush Goyal's Budget Speech. Earlier, Gujarat Deputy Chief Minister Nitinbhai Patel with a group of ministers had recommended that under-construction properties be charged at five per cent while the affordable housing sector be charged at three per cent GST without input tax credit which is effectively coming to eight per cent as of now. The numbers that GST Council has come up with is far more delightful and could give benefits worth Rs 90,000 crore to Indian consumers. There are others who see this as only a buyer-centric move. "Developers will be burdened with GST payments to vendors , suppliers , agencies and contractors and this will land up increasing cost further amidst the already shrinking margin in business due to dynamic policies implemented by the government. In order to realise our the vision of ‘Housing for all by 2022’, the ITC will have to continue or else it will put the entire tax burden on developers hitting the real estate down further," said Parth Mehta, Managing Director, Paradigm Realty. Naredco has also started some discussions with the government about the ITC component. More so, it is also of the opinion that in some cases, the Rs 45-lakh tag may not work. “While, revision in the definition of affordable housing is welcomed, putting a uniform price cap on this segment for metros and non-metros may act as deterrent for metros. Due to this condition, properties in metros measuring 60 sq mt carpet area may not reap affordable housing benefits because it may fail to satisfy Rs 45-lakh price tag as per the ready reckoner rate. Same will be the case in Tier-I & -II towns where revised carpet area is 90 sq mt,” Naredco Director General Brig. R R Singh (Retd.) said.